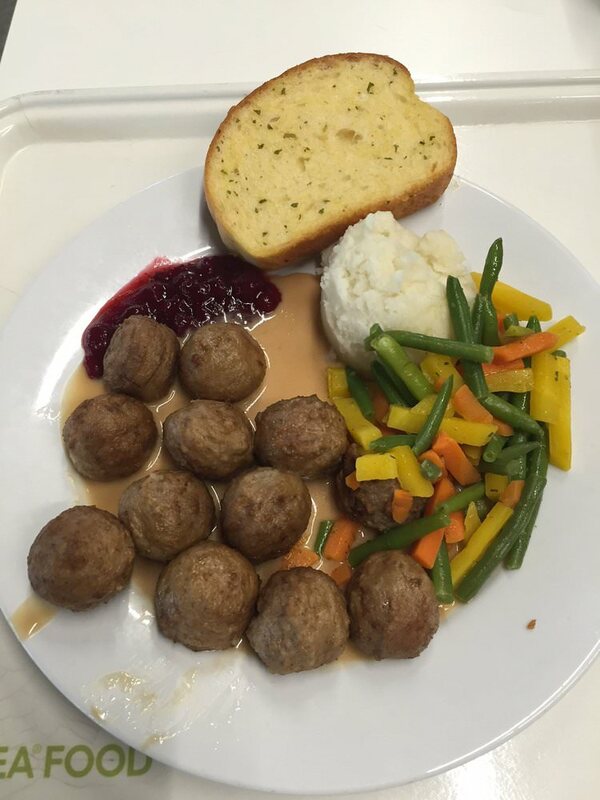 Home » All Forums » [Miscellaneous Forums] » Miscellaneous - Food Related » Has anyone eaten at the IKEA restaurant? Has anyone eaten at the IKEA restaurant? I'm wondering if any one has ever eaten at the IKEA restaurant they have in their stores? They serve Swedish food and maybe something else. I know beside the furniture,etc. they also sell food too. I'm asking since they are building a huge IKEA at IH35 and loop1604 in the San Antonio-Live oak area. According to the Weekly Herald, a local paper their restaurant is supposed to seat 350 people , and they have their warehouse,etc. there.Supposed to open sometime either this year of early next year since they are ahead of schedule. I was at the one in New Haven about a month ago, and figured I'd finally try their food. It was... adequate. Cafeteria-grade, which made sense since it is a cafeteria. Good for convenience, but nowhere to go out of your way for. I always time my IKEA shopping (which is only about twice a year) to coincide with a meal so I can have the meatballs pictured above. Yummy, and I brought home some lingonberry jam for my toast and homemade meatballs. The restaurant is good quality food, very clean, nothing exotic. Just once. 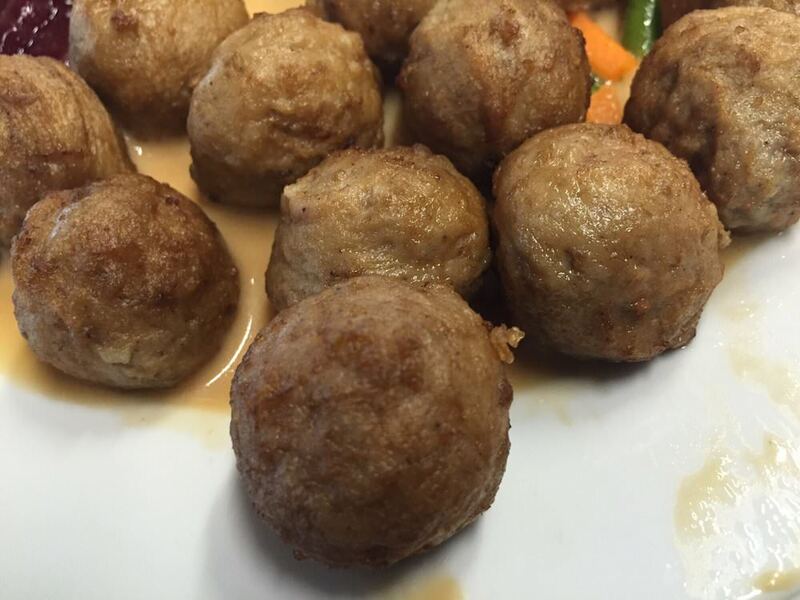 We split the meatballs just to say we tried them. They were good but, as Ketteract said, definitely cafeteria grade. We are more likely to stop by the snack bar by the registers and get a cinnamon roll on the way out than eat a meal there. Lingonberries to take home are always a good idea. They also have a lingonberry drink that is pretty refreshing. Not the best at all, but I really enjoy them. At my local IKEA they have a small market and I buy the frozen Swedish pancakes if they have them. I always have a jar of the lingonberry jam and I occasionally buy the ginger snaps. My mother always enjoyed the meatball plates. She loved a good deal. I always have a jar of the lingonberry jam and I occasionally buy the ginger snaps. The ones I love are the thin and crunchy oat cookies. I can't even control myself once they are opened. I've been there and, like everyone else, we had their signature meatballs. While they are not the worlds best meatball, they are tasty and well worth the price. I like that they serve them with the lingonberry jelly. It is a really complimentary taste. You won't feel ripped off in any way by eating a meal there. While we shop at Ikea on a reasonable basis, these days we save our appetite for a trip to the Portillo's next door. Been eating there, perhaps once every 3 years for a long time. Clean, cheap (like the Costco HD) and average but not below average quality. Can't hurt to try! We enjoy the salmon dinner and the free cappuccinos and lattes(with your IKEA card) at the new IKEA in Oak Creek, WI.